Smarv - Where are we going, Issy? : Merlin Annual Pass SALE NOW ON. Get access to SEA LIFE, LEGOLAND® Discovery Centre and many more! 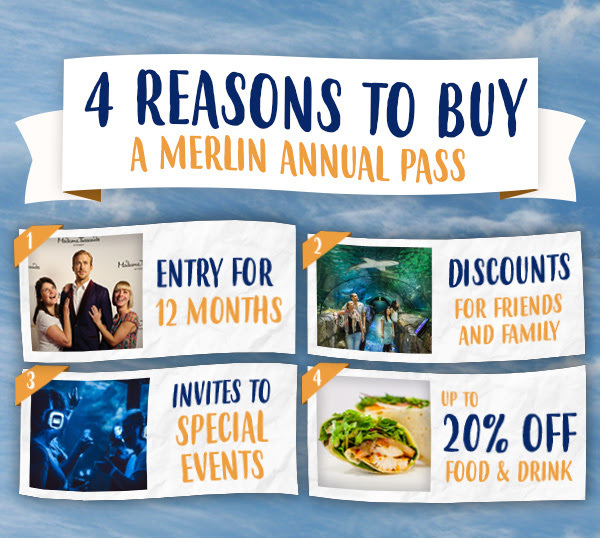 Merlin Annual Pass SALE NOW ON. Get access to SEA LIFE, LEGOLAND® Discovery Centre and many more! Dive into an adventure at one of our four SEA LIFE Aquariums, discover Australia’s big Aussie 5 animals at WILD LIFE, take selfies at Madame Tussauds Sydney, enjoy breathtaking views from Sydney Tower Eye, play and learn at LEGOLAND® Discovery Centre PLUS much more! Annual Pass $65 per person.